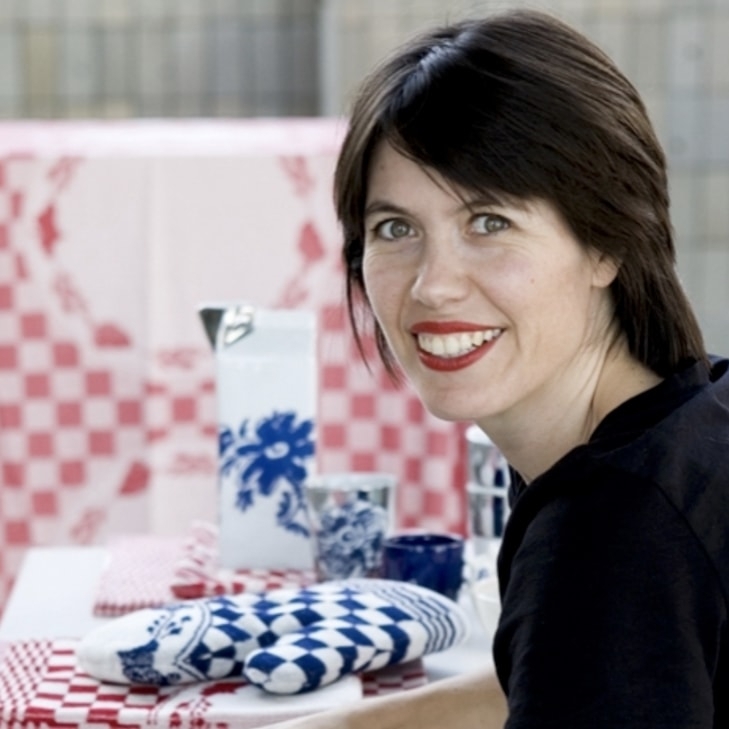 Terracotta pottery and water cooling go hand in hand for decades. The Water Carafe by Arian Brekveld for Royal VKB is made of terracotta and therefore naturally cools the water inside. Even if you leave the bottle out in the sun. For decades, Terracotta is used to store and transport water, and protect it against the heat of the sun. Terracotta is pottery made of clay. The dried clay is slightly porous. The regulation of water temperature in a terracotta urn, bottle, or vase happens naturally by the evaporation of the water. The fine small pores of the clay allow the vapor to escape. 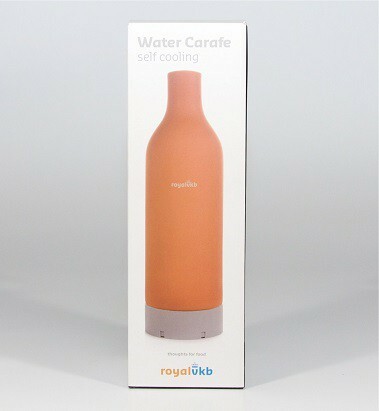 The Water Carafe by Royal VKB therefore naturally cools the water inside. Even if you leave the bottle out in the sun on your garden table. The Water Carafe by designer Arian Brekveld is 28.5 centimeters in height and has a diameter of more than 8 centimeters. The bottom of the carafe is lined with a layer of silicone, so the carafe does not scratch the kitchen counter or glass, stone, or wooden tables. 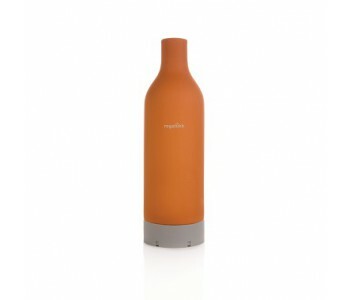 Because Terracotta is a porous material, this carafe is only suited for plain water. Carbonated liquids, colorings, or flavorings lose their character through evaporation. Do not let this bottle stand too long on a non water-resistant surface. While this carafe is provided with a plastic base, the released vapor can nevertheless form wet circles. Place the carafe either in the refrigerator, or on a cold day, outside. The porous Terracotta will burst when frozen.